This week's Tip of the Week from Digital Scrapper is how to make a Christmas Ornament. Tutorial: by Jen White at Digital Scrapper. 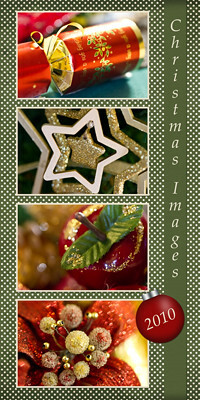 Background Paper:from November 2010 Digital Scrapper Premier - Christmas Past Kit by Susan Bartolini (Scrap Kitchen). Ornament: by Butterfly Rose Designs.